1  relevance of that question. 2 		MR. MOORE: May I make an offer, your Honor? 7 		MS. ROMANO: Objection. Irrelevant. 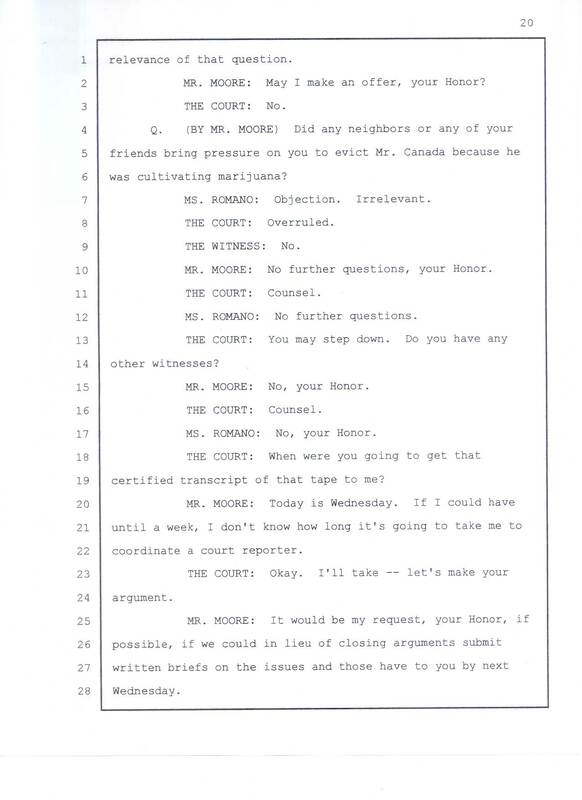 10 		MR. MOORE: No further questions your Honor. 12 		MS. ROMANO: No further questions. 15 		MR. MOORE: No, your Honor. 17 		MS. ROMANO: No your Honor. 19 certified transcript of that tape to me? 22 coordinate a court reporter.